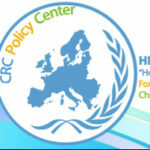 Dialechti Chatzoudi is a Licensed School Psychologist and she works as the Coordinator of the Psychology Department at the Humanitarian Division of “Hope For Children” CRC Policy Center. Dialechti holds a Bachelor’s Degree in Psychology from the Aristotle University of Thessaloniki. 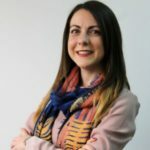 She has also completed a three-year applied master’s program in School Psychology at the University of Cyprus, which has been accredited by the International School Psychology Association (ISPA). Both her Bachelor’s and Master’s Degrees were funded with excellence scholarships by the State Scholarships Foundation (Greece). At the present she is a doctoral student in Psychology at the University of Cyprus. Her doctoral dissertation focuses on early assessment and differential diagnosis of specific learning disability, attention difficulties and behavioural problems. Dialechti has volunteered in a program for psychosocial support and inclusion activities in neighbourhood for children with special needs, as well as in a Center for Diagnosis, Differential Diagnosis, and Support, in Thessaloniki. Also, she has worked as a teaching assistant in the Department of Psychology, University of Cyprus, in a Bachelor’s degree course. In addition, she worked as a Trainee in School Psychology at the Educational Psychology Services, Ministry of Education and Culture, Cyprus. Finally, she was employed as a school assistant in a public kindergarten in Nicosia. Since 2014 she has been collaborating with a private kindergarten and she writes articles for its website.